When you have made the decision that you want to buy a Chevrolet, the chances are pretty good that you went to a dealership to look at some of the newest models. However, there is a certain price range that they fall into that you may not be willing to pay. Then, you also have the simple fact that a brand new vehicle drops in value from the very moment that you drive off of the lot. This is why a lot of savvy buyers are looking for high quality used Chevrolet cars for sale in Shoreline instead of going with fresh off of the assembly line. Stopping by the dealership at Carson Cars, you are going to notice first hand that this is a laid back atmosphere and you will receive nothing but award winning customer service. Whether you have a question on some of the models that are on the lot or if you would like to see a history report for a used Chevrolet that you are interested in, the customer service team will always be more than happy to accommodate. Carson Cars is a family owned and operated used car dealership that has been operating for nearly 50 years now. The team takes great pride in making sure that all customers are completely satisfied and that all of the vehicles on the lot are in great condition and ready to become part of your family. All you have to do is show up and pick out a model or two that you are interested in and we will help you with all of the buying details after you take a test drive and make your decision. 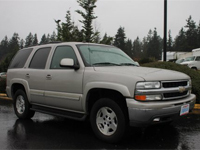 Buy your next vehicle with Carson Cars and shop used Chevrolet cars for sale in Shoreline. Call us (855)583-9356 today for selection and pricing information.